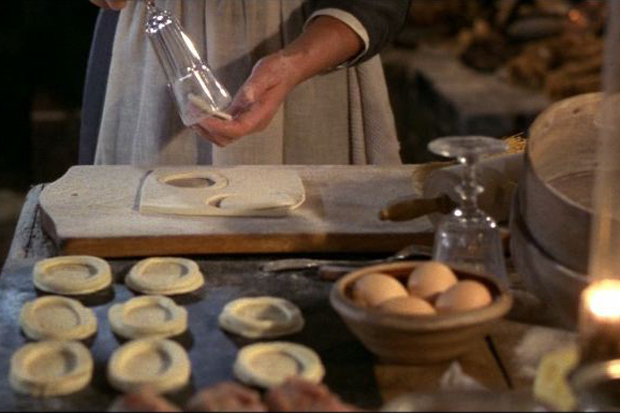 I saw this movie for the first time many years ago when I still had not developed my ideas on food. At that time the film seemed dark and slow, belonging to a world far away, and at that time I was not able to grasp its true essence. 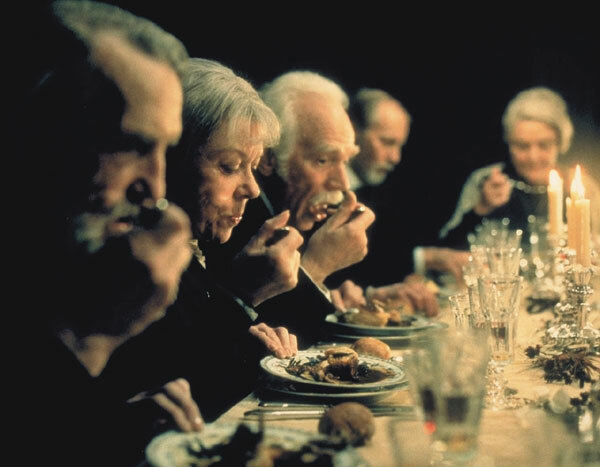 I saw the film again recently and I found myself in full accord with the philosophy that recognizes that food has the possibility to improve human relationships. Sensory, visual, improves the relationship with oneself because it opens up the best feelings, memories, the joy of life, to indulge in “pleasure”. Improve relationships with others because the pleasurable sensations reduce resentment, negative thoughts, seeing the other as an enemy, loosens the tension. The work and the preparation of a dish is not only technique but also creativity and the ability to create harmony, it is a tool to express oneself like an artist and is considered noble. If it’s art, the commitment in the preparation moves away from the concept of effort and allows us to approach the idea of a path to self-fulfillment. A table laden with dishes and tablecloth with fine attention to detail makes you breathe beauty, opens up the hardest of hearts to dream, approaching a small hut in the North Sea to the glories of Paris. Try new products, flavors unknown lights curiosity and a desire to learn more. Knowing the history of the product approaches distant worlds and different people, supports their integration. 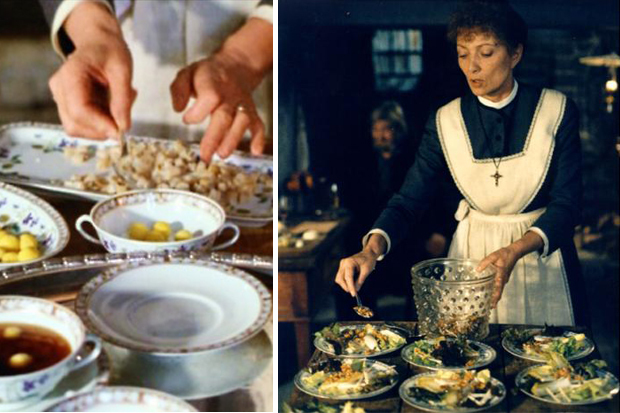 Babette’s Feast is a gift of gratitude to the two women that the host and the small community that welcomed her in a difficult time of life without many questions. I think the food in general expresses well the concept of “a gift” was once was thanked to God before the meal because he had given the “gift” of food, essential for life. When you prepare a meal for your family or loved ones, given the gratuity of what we do is a gift, in a few words, we should remember and remind ourselves. 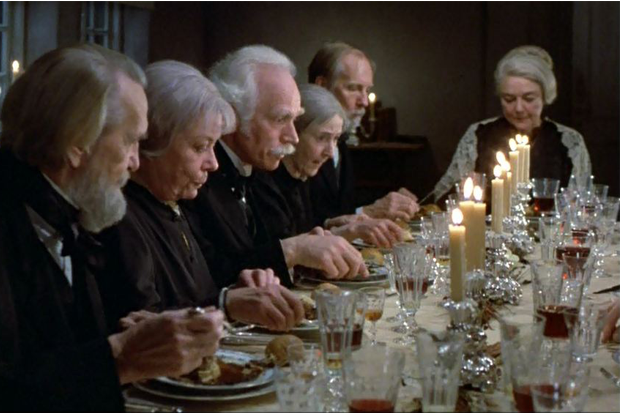 After that lunch, the community will never be the same, a sensory experience so intense that it can not help by implement changes, even in a world so closed, puritanical and conservative. 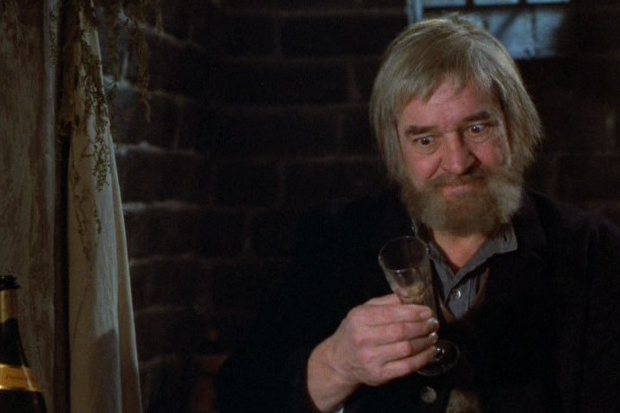 The film does not explore this possibility, but the final lines let you imagine.